processing and giving a refund is 63 days, which will get reduced to one day, the daily quoted railway minister Piyush Goyal as saying. Once the new system gets in place, taxpayers will get a pre-filled form in their income tax account with their name, PAN and other details, the publication quoted a tax officer as saying. The form will also capture details like salary, interest income, tax deducted at source from the form 26AS. 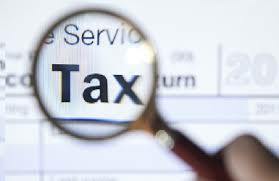 Taxpayers can add their other incomes, which were not reported earlier to the I-T department, an officer told ToI. “This is a laudable initiative and will go a long way to ease tax compliance, collection of taxes and enhanced experience for taxpayers. However, the real success of this will be measured when the technologies and tools become easy to use for a common man or woman and technology changes are accompanied by changes in the mindset and culture of the tax authorities at the operational levels,” the daily quoted Neeru Ahuja, partner at consulting firm Deloitte India as saying.